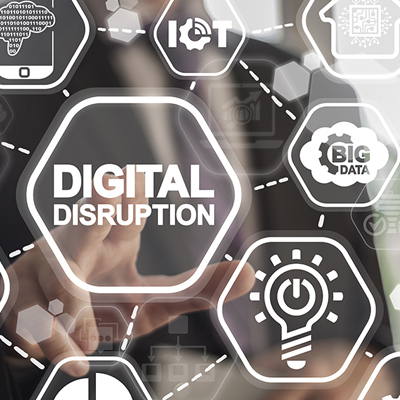 A digital disruption occurs when new digital technology changes affect the way businesses perceive the value of their current services and products. Digital disruptions can include the massive wave in the increase of mobile devices for work and special use. This phenomenon is known as the consumerization of IT and has raised the potential for digital disruption in multiple industries. The role of current enterprise resource planning (ERP) systems is to provide a scalable and flexible IT infrastructure despite the digital disruption. The only way to survive modern business is to embrace change through adoption. Mobile computing is on the rise, as is cloud computing. If your ERP software resides on location at your physical location or you are not implementing mobile computing, you may want to think about a change. Many organizations are moving their operations into the cloud and making data and tools accessible through smartphones and tablets. In other words, your struggle is getting stronger, so you need to get stronger, too. Ask your vendor if it offers mobile apps; find out the cost of migrating your data to the cloud, and research ways to improve your ERP solution. If you are a business-to-consumer or business-to-business organization, digital disruptions will change your business practices and the way you find and retain customers. Take the restaurant industry. Digital disruptions change the way businesses engage with their customers, as well. As these changes continue, you can find ways to use the disruptions to your advantage. Several online resources exist to set up video conferences with customers many don’t require you or your customers to download anything. Apps have changed the way people check the status of everything from book orders to shipments and schedules. In addition, technologies have changed customer perspectives. Social media reviews, postings, and updates change how someone thinks about a company. Regardless of these digital disruptions, businesses need to learn how to adapt and use them to their advantage.